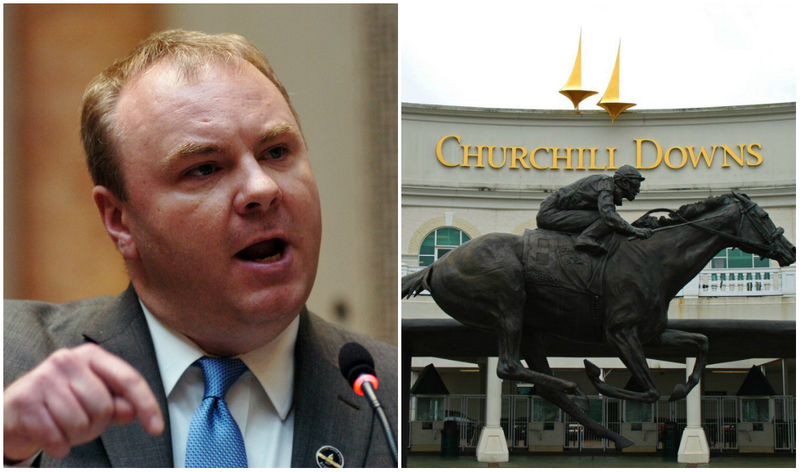 A group of Kentucky lawmakers are ready to bet on sports gambling to grow state revenues. State Rep. Jason Nemes (R-Louisville) announced this week on ESPN Louisville that he’s assembled a nine-member sports betting committee that includes Democrats and Republicans in both chambers of the Kentucky General Assembly. 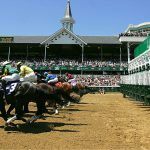 The goal is to collectively craft regulations to authorize sports betting operations presumably at the state’s horse racetracks and off-track betting venues. “It’s a way that we can bring more money into the state’s coffers to pay for much-needed programs, but it also increases the freedom of our citizens to direct their entertainment dollars where they think they ought to,” Nemes explained. Nemes estimates that depending on where the tax rate is set, the government could collect between $5.5 million and $26 million annually from sports betting. Those figures hint that Nemes’ panel will likely propose a high tax on sports gambling revenues. Last year, Nevada government coffers took in about $15 million on nearly $5 billion in bets. The Silver State taxes sports betting revenue at 6.75 percent. 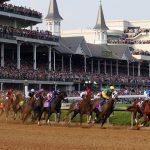 Though Kentucky has a larger population than Nevada, the state of course has no Las Vegas that attracts over one million visitors each year, many of whom take to the sportsbooks. Nemes says the sports betting panel will introduce legislation to permit the activity during the 2019 General Assembly session. By that time, numerous states surrounding Kentucky could have sportsbooks up and running. On June 5, Delaware became the first state to join Nevada in offering full-fledged sports gambling as a result of the Supreme Court of the United States’ (SCOTUS) repeal of the longstanding federal ban. New Jersey joined the fray last week. West Virginia has already passed sports betting regulations, and Missouri, Indiana, and Illinois have sports betting legislation introduced. All four states share their borders with Kentucky. In a 6-3 decision, SCOTUS ruled the Professional and Amateur Sports Protection Act of 1992 violated anti-commandeering interpretations of the Tenth Amendment. 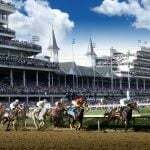 Kentucky has long opposed most forms of gambling, the main exception of course being the state’s parimutuel horse racetracks. The Bluegrass State is one of just 11 states that does not have commercial or tribal casinos. Long held hostile gambling views seem to be easing a bit in the Frankfort capital. Allowing horse racetracks to incorporate “historical racing machines,” which have been compared to slots, were authorized in 2017. Historical racing terminals allow bettors to place bets continuously on horse races that have already occurred. The machines conceal the actual horses, jockeys, trainers, date, and track location, and instead present a “skill graph” that represents the horse’s odds. 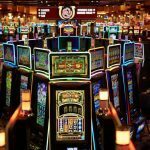 Critics argue instant racing machines are cleverly disguised slots due to the terminals featuring an option that makes the picks on the gambler’s behalf based on a handicapping feature. Horse racetracks say the devices are critical to their survival. Virginia, one of the aforementioned 11 states without casinos, authorized the machines in April at its sole Colonial Downs Racetrack.